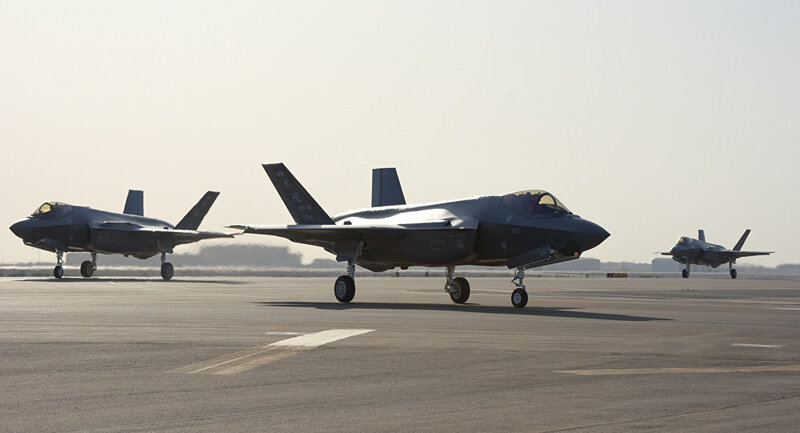 However, these aren't the first-ever F-35s to operate in the Middle East: Israel has received a dozen F-35As from maker Lockheed Martin, a specialized version of the aircraft dubbed the F-35I "Adir." Sputnik reported that Israel may have even used its Adirs in combat already, in a strike on Syria last month. "We are adding a cutting edge weapons system to our arsenal that significantly enhances the capability of the coalition," Lt. Gen. Joseph T. Guastella, US Air Forces Central Command commander, was quoted as saying in the USAF statement. "The sensor fusion and survivability this aircraft provides to the joint force will enhance security and stability across the theater and deter aggressors." "The F-35A provides our nation air dominance in any threat," said Air Force Chief of Staff Gen. David L. Goldfein. "When it comes to having a ‘quarterback' for the coalition joint force, the inter-operable F-35A is clearly the aircraft for the leadership role." Goldfein has adopted the metaphor of the quarterback, the ball-throwing team leader in American football whose job it is to survey the playing field and direct other players in response to the opponents' moves, to describe the F-35's foreseen role in future conflicts. In a February event at a Washington, DC, think tank, Goldfein said that an F-35 in enemy airspace would "never be alone," instead using its advanced computers to create an integrated picture of the battlefield and "call audibles in real-time," Sputnik reported.